Hawthorn hedge plants, also known as Quickthorn, make an attractive native hedge. The mid-green foliage acts as a foil for masses of white, scented flowers in the spring and then for shiny, red haws when autumn arrives. The sharp thorns that adorn the branches make Crataegus monogyna a great intruder deterrent, whilst providing shelter for wildlife. Also Consider: Browse our range of prickly, intruder proof hedging plants. 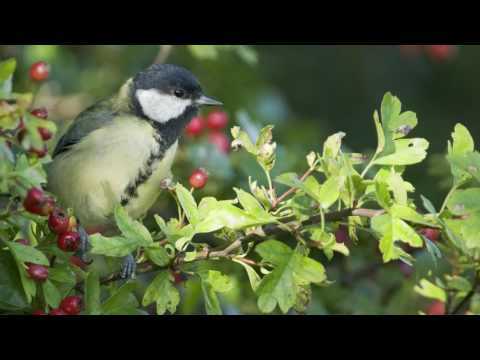 Hawthorn hedging is a wonderful choice for wildlife interest; it supports over 150 species of insects and is an important source of food for birds. The white blossom that decorates Hawthorn hedges in spring gives off a lovely, delicate fragrance and is very popular with bees. This variety of hedge plants is perfect for paddock hedging, a cottage garden or informal hedge and landscape hedging. Crataegus monogyna is a versatile, native plant that can be left bushy or trimmed neatly depending on your desired look. With its large spikey thorns, Quickthorn is ideal to use as an intruder deterrent and also makes a useful windbreak, even in the winter months; although Hawthorn is a deciduous variety, the dense branches provide some cover. Grown alone, Hawthorn hedging creates an attractive and effective screen; however, Quickthorn can also be combined with any number of other native plants for a diverse hedgerow, boasting an array of different flowers, berries and foliage colours. If you're looking for a readymade native hedge for instant impact, then consider our mixed hedging packs. Crataegus monogyna is fast growing and can achieve on average 40-60cm each year. A Hawthorn hedge is suitable for heights between 1-5m. Once established, Crataegus monogyna requires a light trim after flowering or you can delay pruning slightly, until autumn. Please view our Hedging Care Advice page for more information on pruning your Hawthorn hedge. For information on specific planting density related to Hawthorn hedging, please see the product table below. In the 'No. Per Metre' column, you will find our recommended plant density for each individual plant species and root type. For further information, visit our hedge planting density page. Our Hawthorn hedge plants can be purchased year-round as Pot Grown and Cell Grown Plants, or between November and mid/late May, we offer Crataegus monogyna as Bare Roots, using cold stored plants towards the end of the season. The majority of our Hawthorn hedging plants are UK grown by our on-hand experts who have generations of nursery growing experience. On the rare occasion that we may need to source Crataegus monogyna from outside of the UK, we endeavour to make sure our suppliers are unbeaten on quality. At Best4hedging, we do our best to ensure that your plants reach you in the freshest condition and that they are of the highest standard, whilst protecting our outstanding prices. Rest assured you can buy Hawthorn hedging online with complete confidence that the standard of service and products you receive will be of the very best quality. Took few weeks to arrive. all the items in the box were well wrapped up and made secure and no items were damaged just need going in water. Ensure delivery of bare rooted plants within two days. Quality plants that will greatly enhance my chance of success in keeping my fruit safe.